One of the stops on our 3 week road trip was at my parents house in Northern, Minnesota. 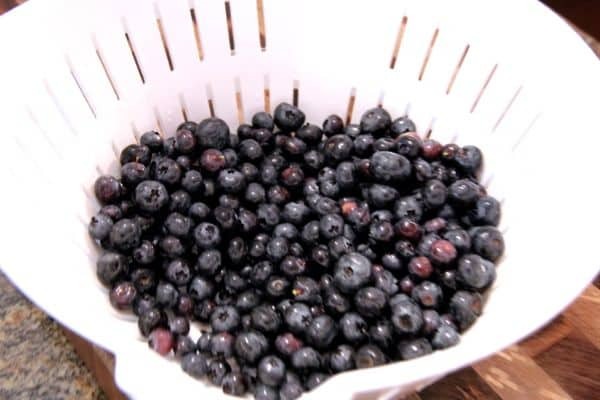 In case you didn’t know Northern Minnesota is known for AMAZING wild blueberries. Every year my parents and 93 year old grandpa head up the North Shore to go blueberry picking. Well I happened to be lucky enough to arrive right after their annual picking trip! 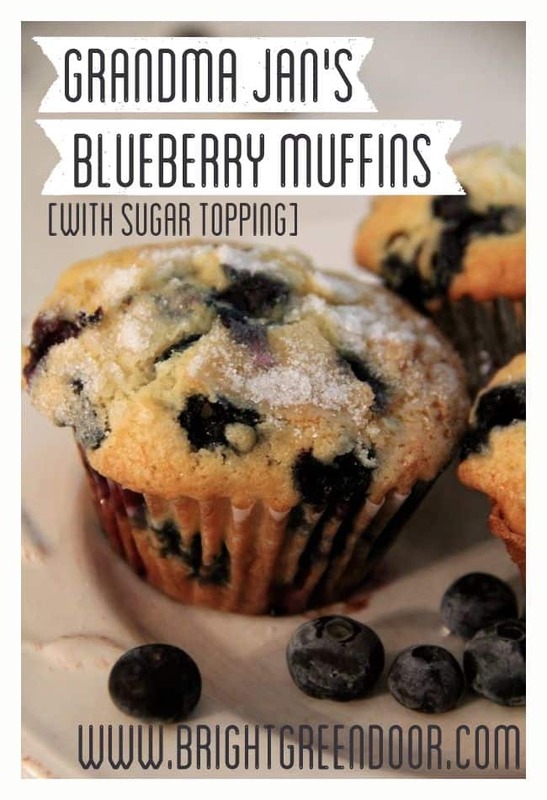 Of course this meant that blueberry muffins were absolutely on the menu. 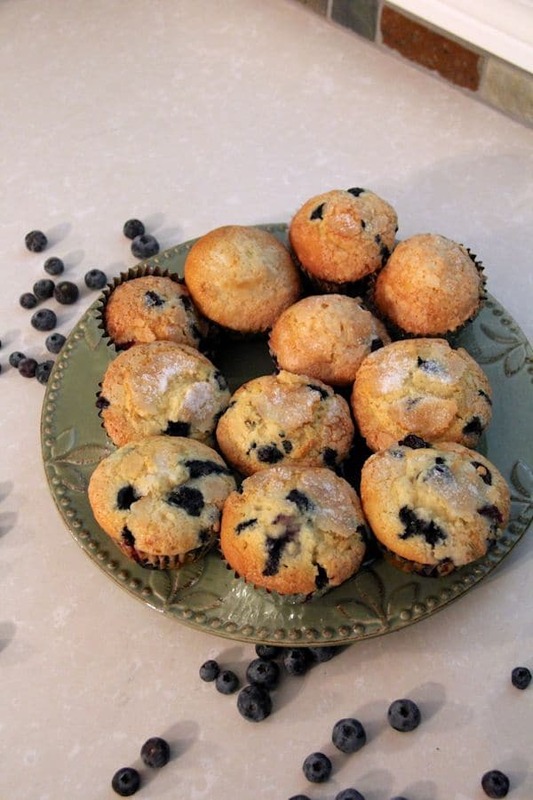 Not just any blueberry muffins, but my mom’s (Grandma Jan’s) AMAZING blueberry muffins. 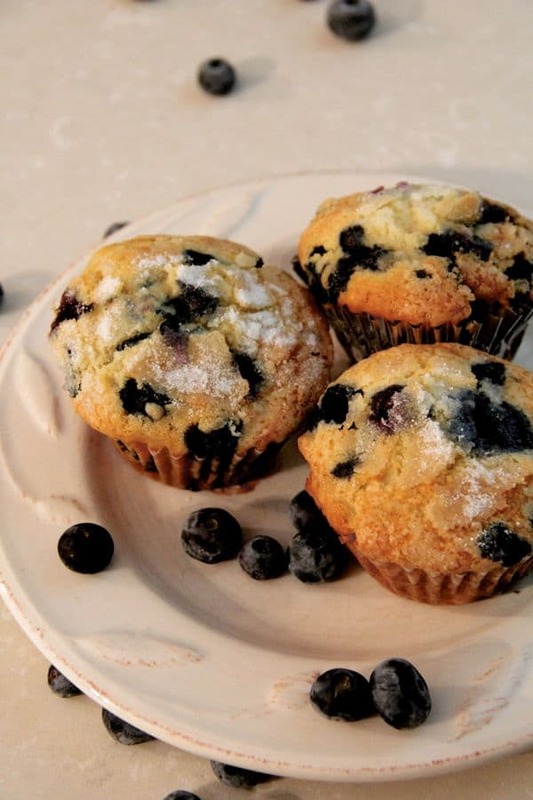 It wasn’t until I left home that I learned that not all blueberry muffins are created alike. Theres a few simple things that she does that make them extra special. First, she ALWAYS rinses the berries. This is something that I failed to notice growing up, which meant my first few batches always turned out with a green tint. 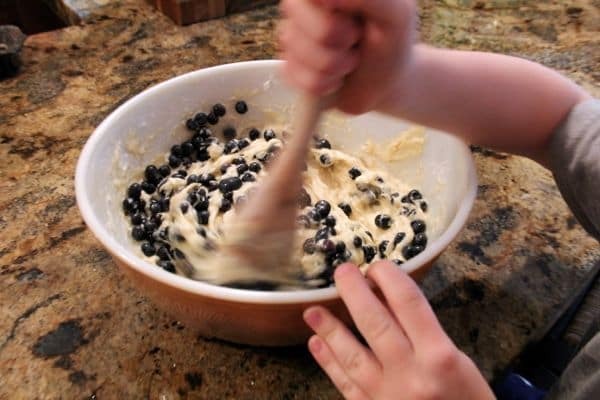 It was only because the juices would seep into the batter from not being rinsed. A quick rinse does the trick though. 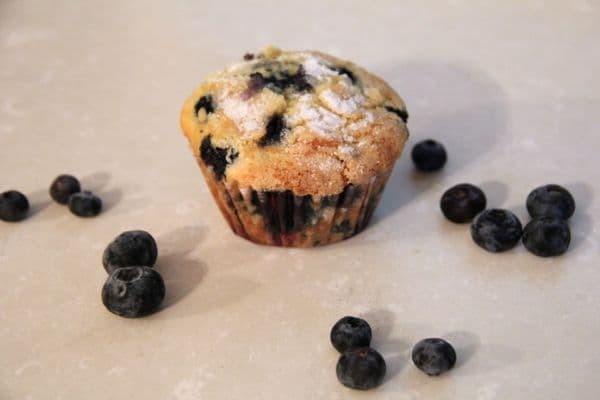 For these muffins we used fresh berries straight from the fridge, but she also freezes blueberries to make them all year long. The muffins turn out very similar with either kind, but both need to be rinsed! Here is her next extra special tip. On top of the sugar that’s already in the recipe she ALWAYS adds a good sprinkling of sugar on top of the muffins before they go into the oven. It really makes ALL the difference! 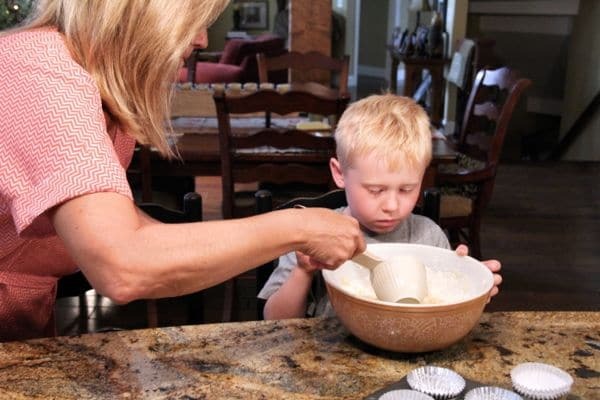 After cooking them the sugar stays on top and equals the perfect amount of sweetness in every bite. They are best served straight from the oven with some butter on them. Yum. Cream butter, sugar, and eggs. 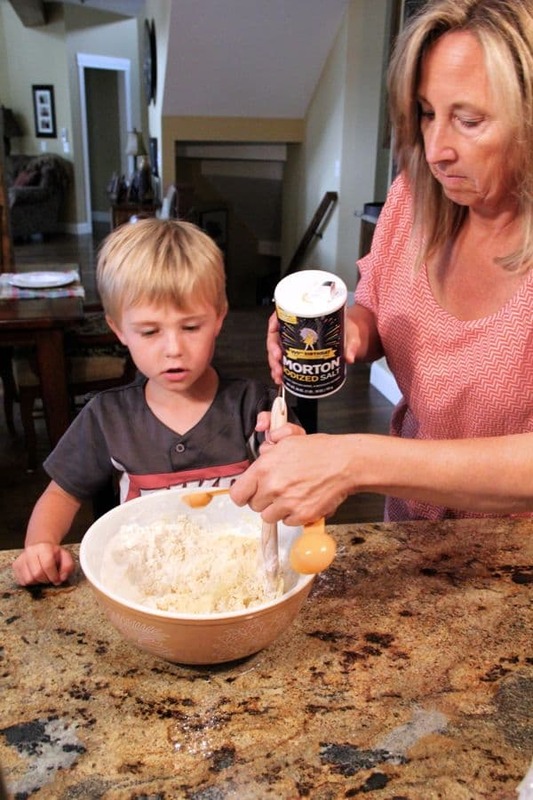 Then add dry ingredients. Add milk and vanilla. Rinse and drain blueberries, stir in. 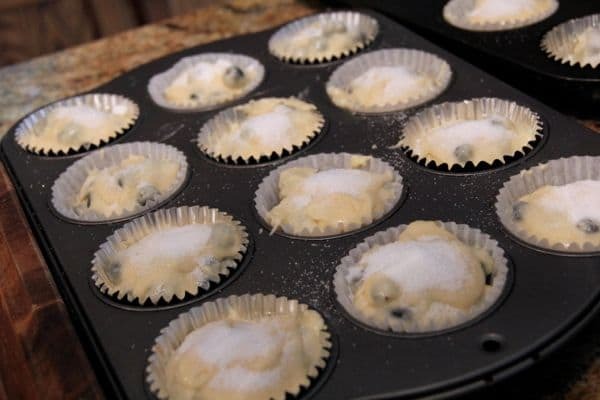 Put into muffin tin and sprinkle each muffin with sugar before baking. Serve warm with butter…. 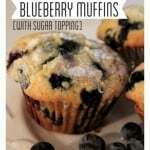 for breakfast, snack, a dinner side, or dessert!